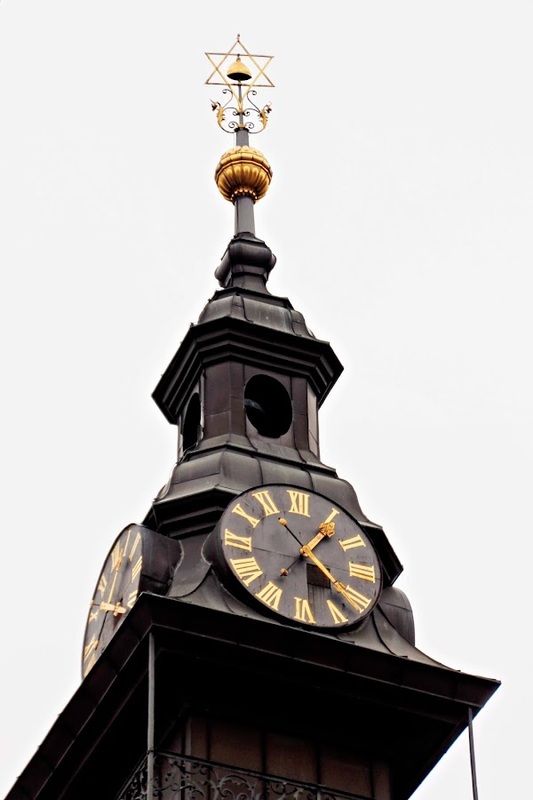 I had been to Prague a couple of times prior to my most recent visit. There is much to appreciate and love about this city. From the omnipresent Bohemian influence, to the Czech beer which costs LESS than a bottle of water, to the completely unfamiliar alphabet and sounds of their Slavic language (it took me three days to remember how to say 'thank you'...and I only remembered it once I was in Germany where the knowledge was useless). Dekuji (da - kwee). But my personal Prague priority, was revisiting Josefov. The Jewish Quarter. Last time I was here, my photography comfort zone was my pocket digital. This time I came packing the good stuff. It amazes me how a place with such an ugly history, encompasses such a beauty about it. Maybe it is it's history and it's resiliency that adds to the aura. It's beginning dates to the 13th Century when Jews were ordered to vacate their homes and settle in this area. The Jewish Ghetto. First walled for protection and to keep enemies at bay. 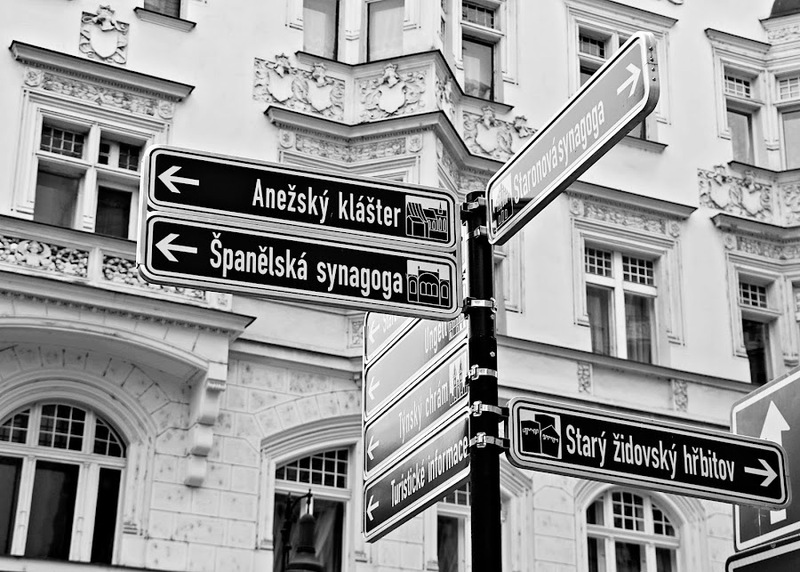 Over the centuries, with Jews banned from living anywhere else in Prague and with new arrivals expelled from Germany and Austria...more and more were crowded in. The walls morphed from protection to confinement. 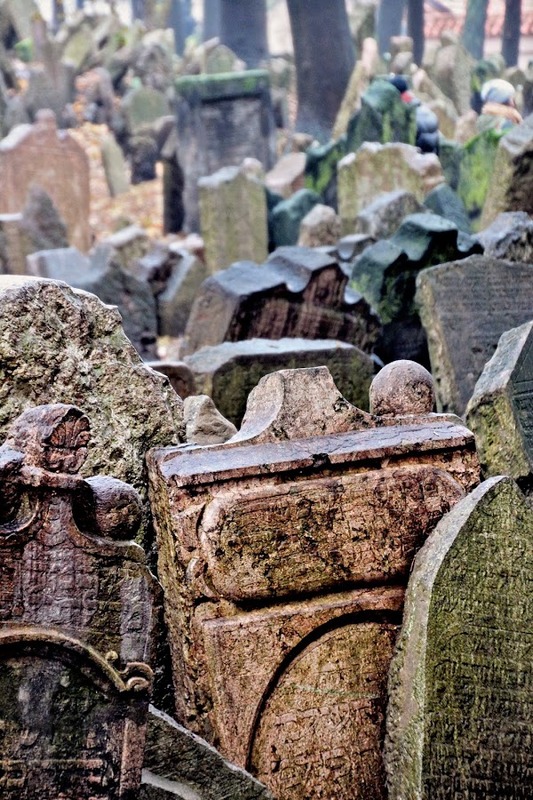 Today, Josefov is the best preserved complex of Jewish structures and monuments in Europe. It even survived the Nazi occupation. 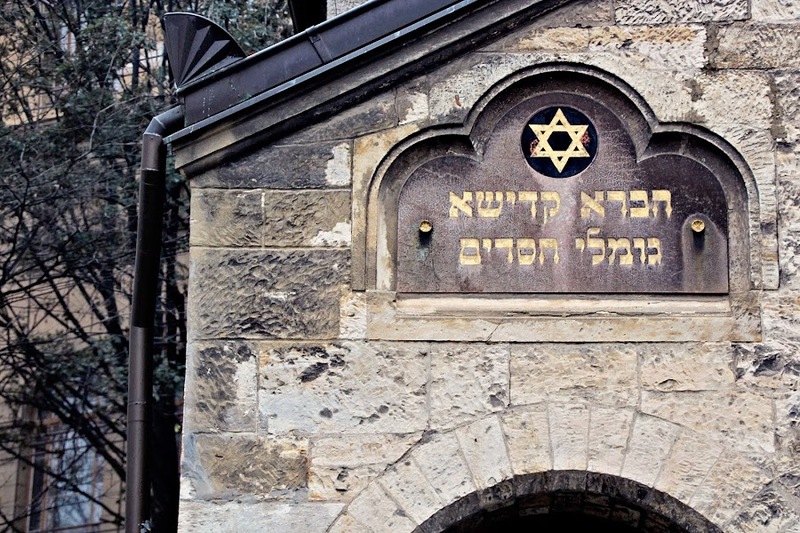 Thanks to Hitler himself, who decided to preserve the Jewish Quarter as a "Museum of an Extinct Race." 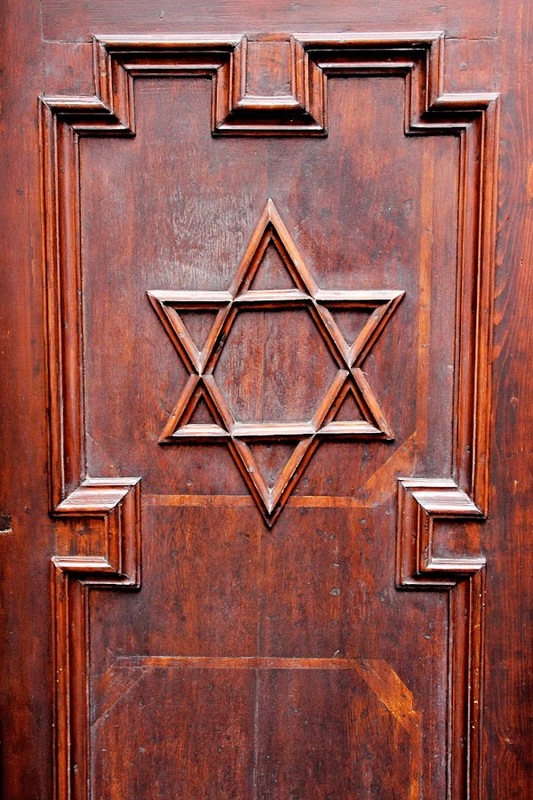 The Nazis gathered Jewish artifacts from other occupied countries and transported them to Prague for the museum. They were doing this as they were transporting the Josefov Jews out of Prague...to Concentration Camps. 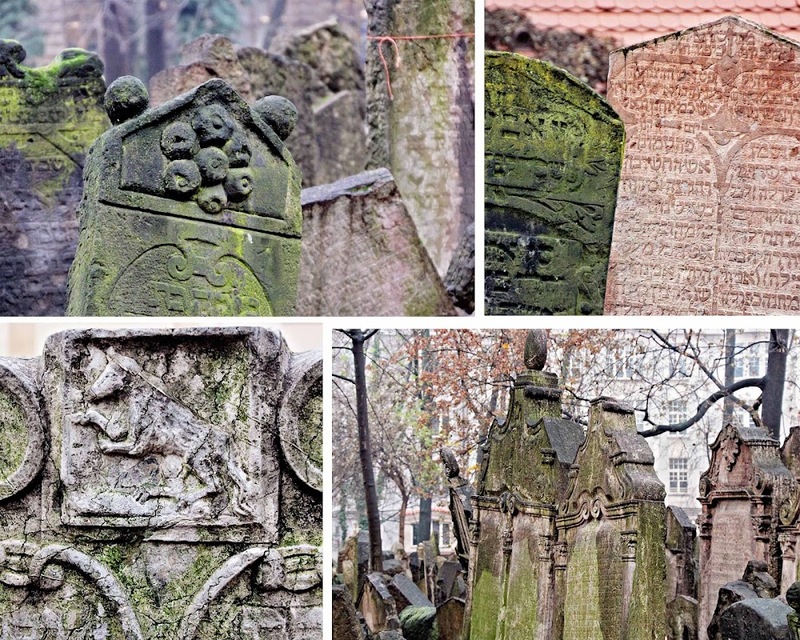 Six Synagogues and the Old Jewish Cemetery. 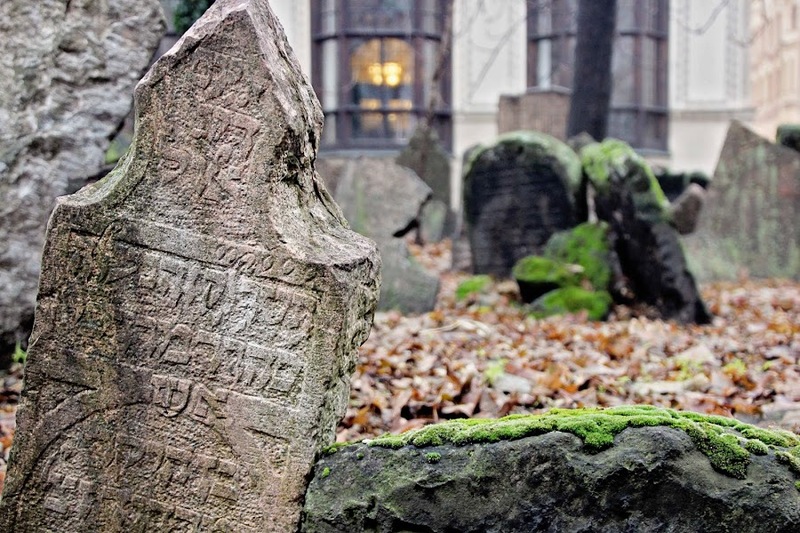 Europe's oldest surviving Jewish Cemetery. There is a magical quality here. 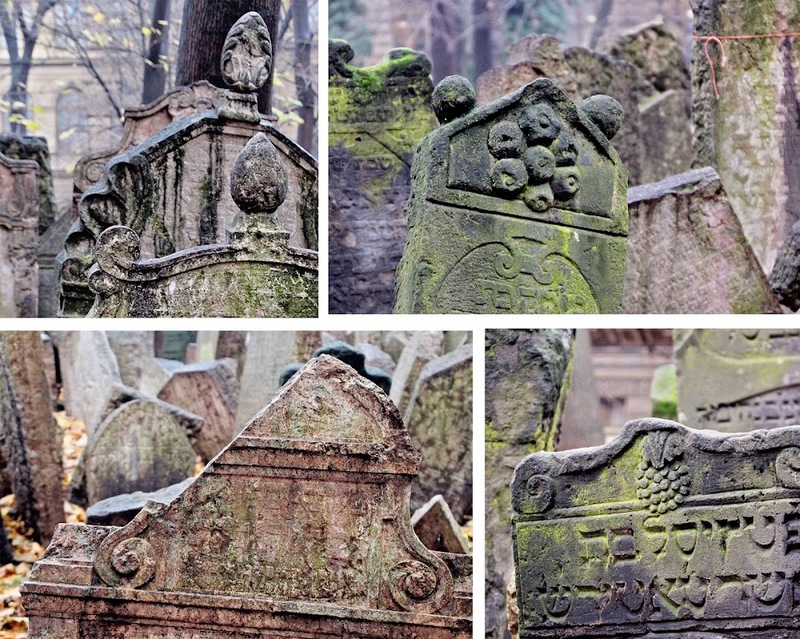 Mysterious gravestones layered on top of one another, thousands of stories lay beneath. It is a surreal sight. 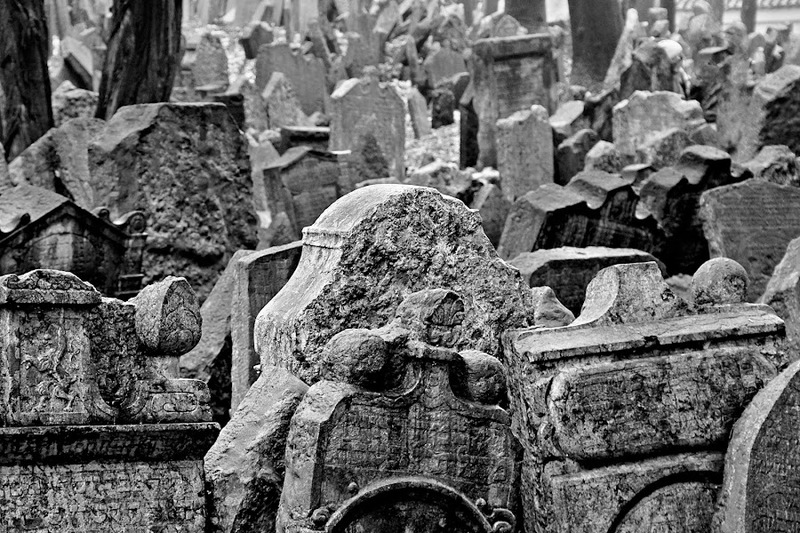 Layer upon layer of gravestones, piled upon each other. Toppling into each other. Holding each other up. It is the result of two forces at work. Extremely limited space and Jewish custom. Graves must not be disturbed. The only solution was to add layers of new soil. Eventually, twelve layers of new soil. 100,000 buried. 12,000 visible gravestones. Soil settles. Gravestones topple. There is a beauty I find mesmerizing. But then again, I find the whole concept that a Czech beer is cheaper than a bottle of water quite mesmerizing too! Maybe I'm easily amused. But the shapes, shadows, textures, patterns were overwhelming in and of themselves. Add in the history and the stories and...sensory overload. 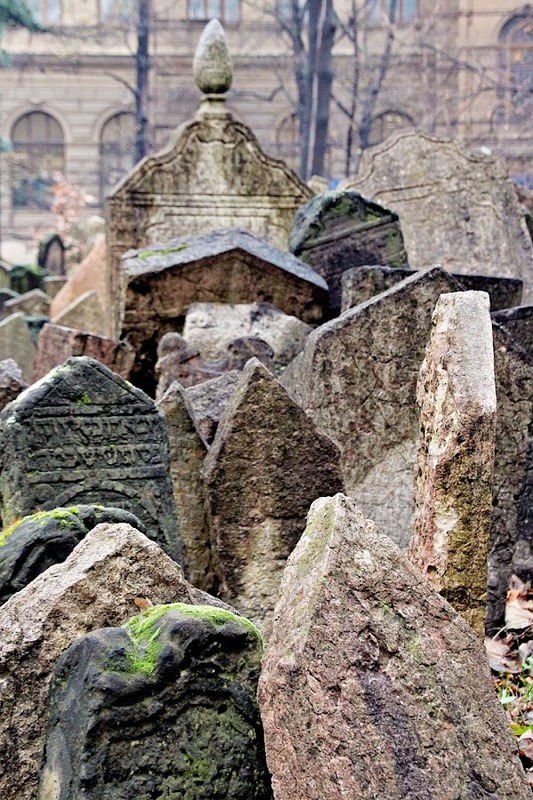 77,300 Czech Jews fell victim to the Nazis. Each of their names are carefully written on the walls of one of the six synagogues. They all died in the Nazi concentration camps. Terezin being the closest. Interestingly, as I walked the hallways and perused the names I came upon a familiar one. "Pfefferkorn"... a family of six. My great grandmother's maiden name. Her family lived across the Czech border in East Germany. Certainly gave me pause, and then motivation to do a bit of genealogical research. Travel opens my eyes to history. And sometimes, opens my eyes to possible new family history. Dekuji Josefov! This is a beautiful photo essay, Kathy. I've never seen anything like that cemetery. Despite the tragic history, it's wonderful that this place has been preserved. Major goosebumps over here. I have a strong desire to see Eastern Europe. There is a trip called "March of the Living" that visits Poland and the Camps on Holocaust Memorial Day and marches the tracks between Auschwitz and Birkenau then goes on to Israel for Independence Day there. 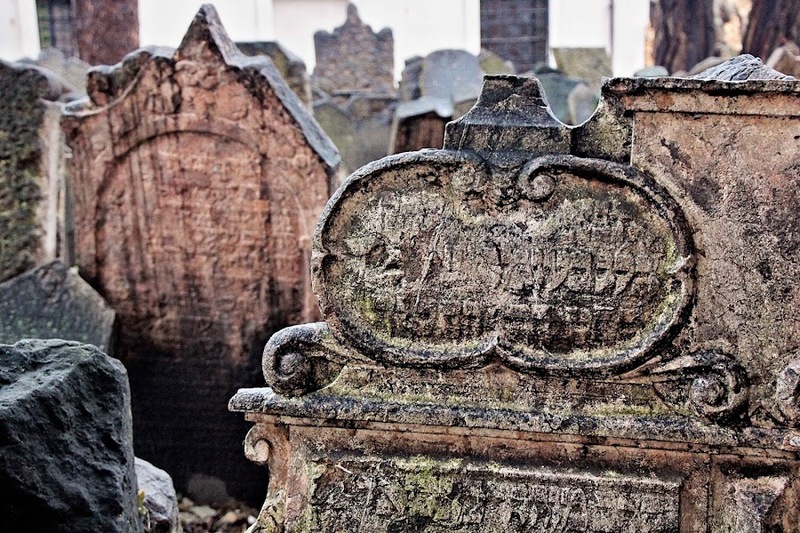 The Hebrew on the synagogue actually says "chevra kadisha" which is what we call those people who care for a dead body between death and burial. So eary to read that then see th rest of your photos. Tamar...THANKS for the translation! I've been wondering about those words! Wow, what an eye opening tour you gave us of this beautiful place with such a horrible history. Thank you for sharing with us. Glad you packed your good "stuff". Fabulous photography and as always great commentary. Thank you for sharing. I was in Eastern Europe last June and also visited the Jewish Quarter in Prague and also the Dohany Street Synagogue, cemetery and Raoul Wallenberg Holocaust Memorial Park in Budapest. I am not Jewish, but love all peoples, for who they are. I was brought to tears when visiting these locations. I, too, have Czech roots and hope to go back someday to continue my family research. These are amazing, Kathy! I just love seeing it all through your eyes. You found amazing patterns, lines, and stories! I can hardly find words. Your photos are moving and the stories behind them are...amazing. Thank you so much for sharing. wow, just...wow! The gravestones especially, so overwhelming in their statement. Amazing journey, especially for you with such immediate family association. Thank you so for sharing. 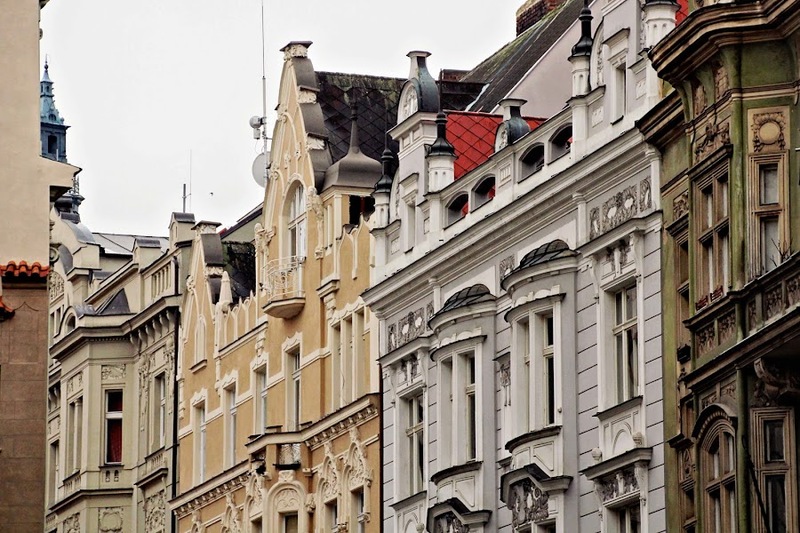 I have never been on Prague, but it is one of the cities I'd love to visit. 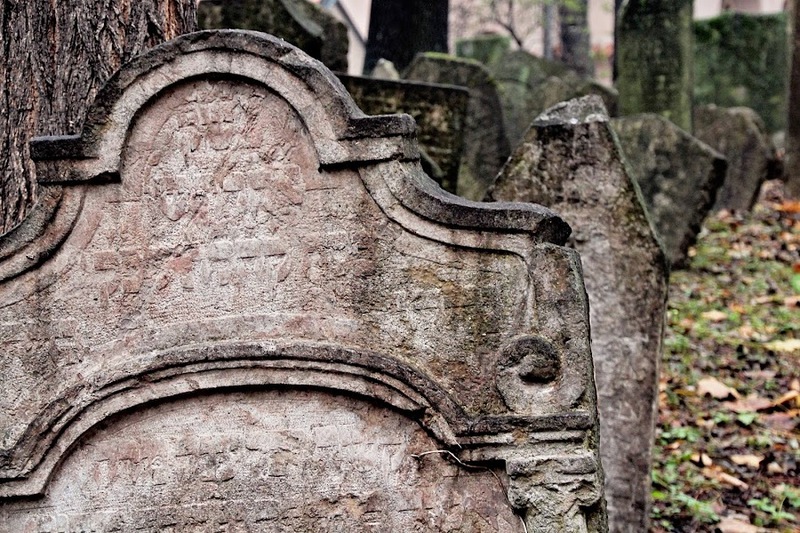 Your images of the graveyard and fabulous - the light and the angles ... Exquisite! 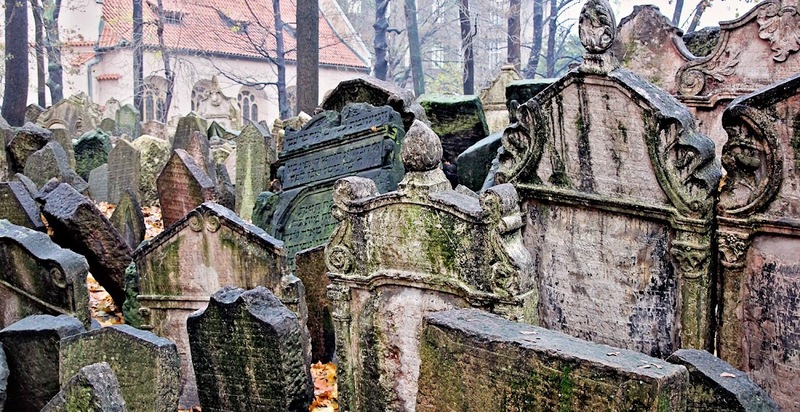 The cemetery in Prague is one of the saddest places I have ever visited. It reflects so much of the history of the Jewish people in Europe. You took wonderful pictures ! I have a Pfeffekorn in my family and a Abendroth ...so many familiar names on that wall. 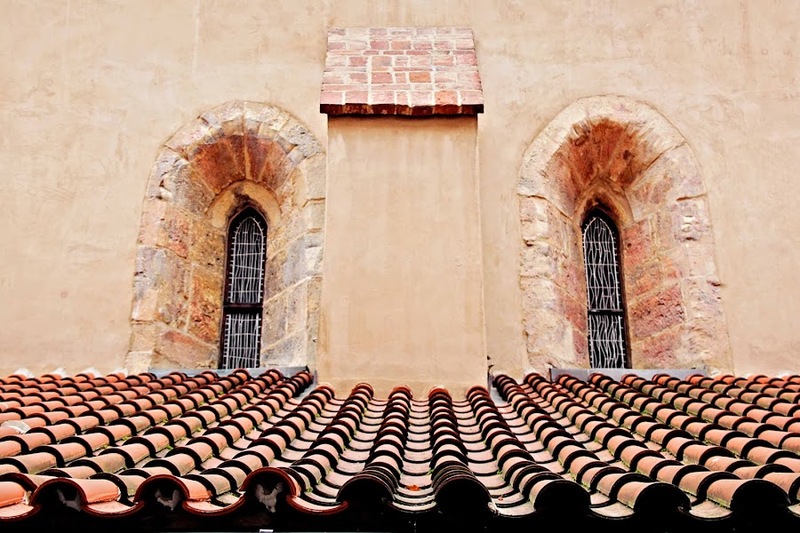 My favourite image is the first one - the simple patterns of the roof and the windows!!! I am amazed at the density of tombstones in that graveyard!!! I totally understand why you had to capture so many images of it!!! This is so amazing. Beautifully told Kathy.